Saturday 26 November 2016. 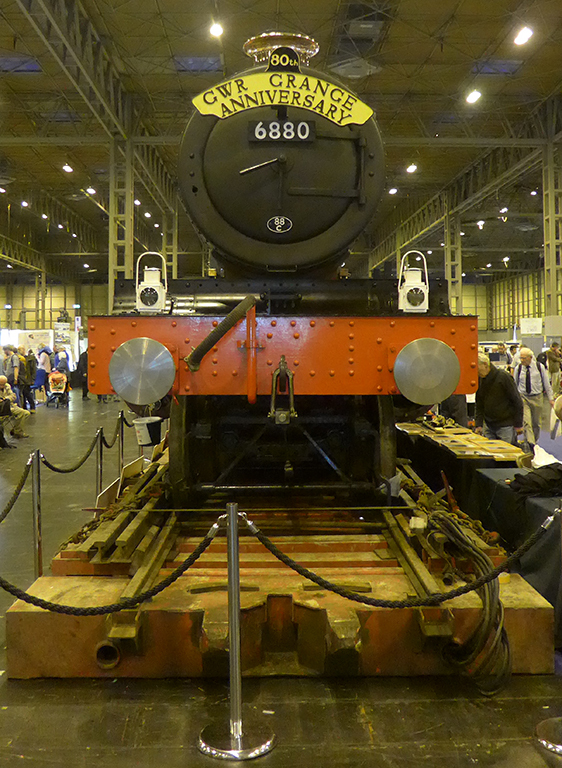 Group visit to the Warley Model Railway Exhibition at the NEC Birmingham. Many thanks to Pete King for organising travel and entrance to the exhibition for the party of four who made the early train from Euston; Pete K, Alan S, Gordon and Richard. On arrival in the Exhibition we met up with our Hon West Country member, Pete Townsend. Much to Pete K's obvious delight we were confronted with the full size re-build of the GWR 'Betton Grange' locomotive (none of the 80 Grange class survived the torch), many of its parts were savaged from Barry scrapyard, some re-engineered and, for Warley, the boiler borrowed from Cogan Hall (eventually to be replaced by the boiler from Willington Hall). Apparently having undergone so much refurbishment and much new work, 6880, the 81st Grange, will be classified as a new locomotive. Next stop the 2mm Association stand where an array of demonstration and build activities were taking place. 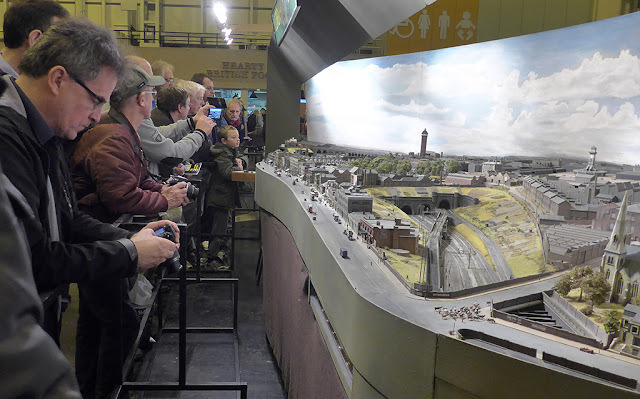 We focused on a demonstration by Mick Simpson of 'scale' sound effects applied to a 2mm diesel loco and DMU unit, their engine noise and horns just audible against the background exhibition 'hu-bub'. 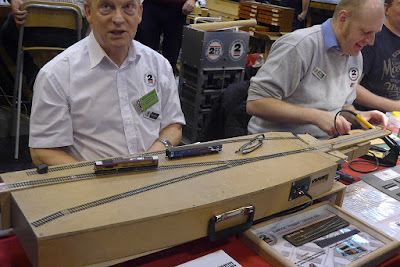 Under the demo track 'plank', Mick revealed the use of independent battery and switch operated servos used as point motors wired for both DC and DCC. This is a very neat and cheap solution to a complex part of the construction of some layouts. 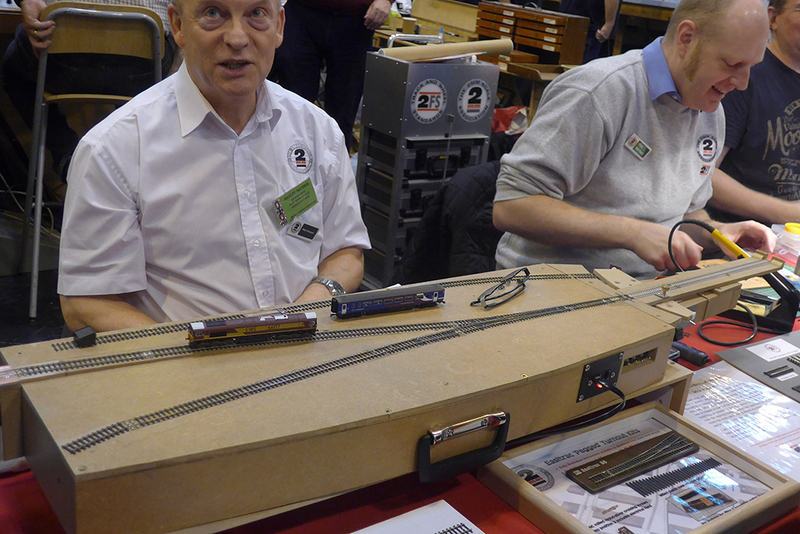 This simple demonstration layout also sported working 'catch points', a 'fiddle yard' extension and 'off the board' train storage at either end. Mick has threatened some 'scenic' additions. 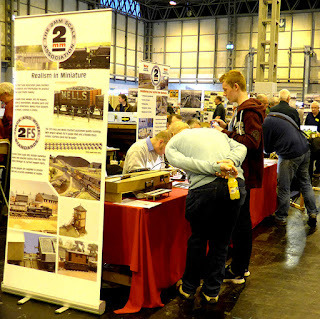 Apart from the stand, the 2mm Association was represented by Copenhagen Fields, with new work on the marshalling yards in evidence. 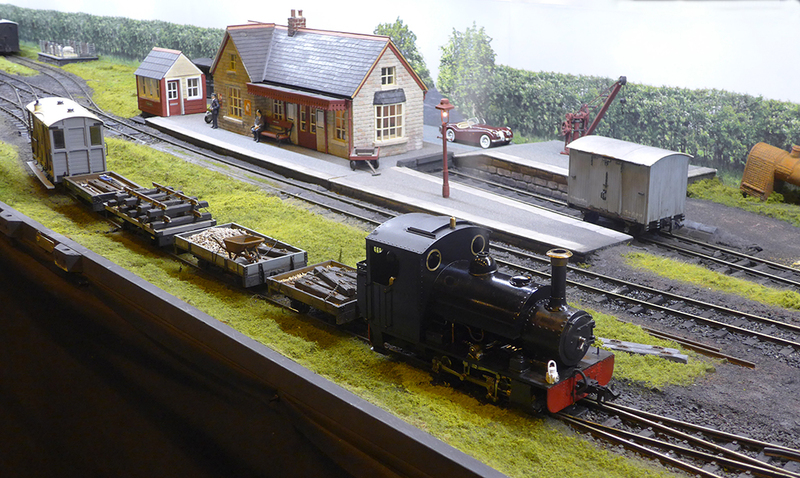 The display always attracts large numbers of spectators, and probably accounts for much of the interest shown in the Association, even conversions and new members. "No it's NOT 'N' gauge!" 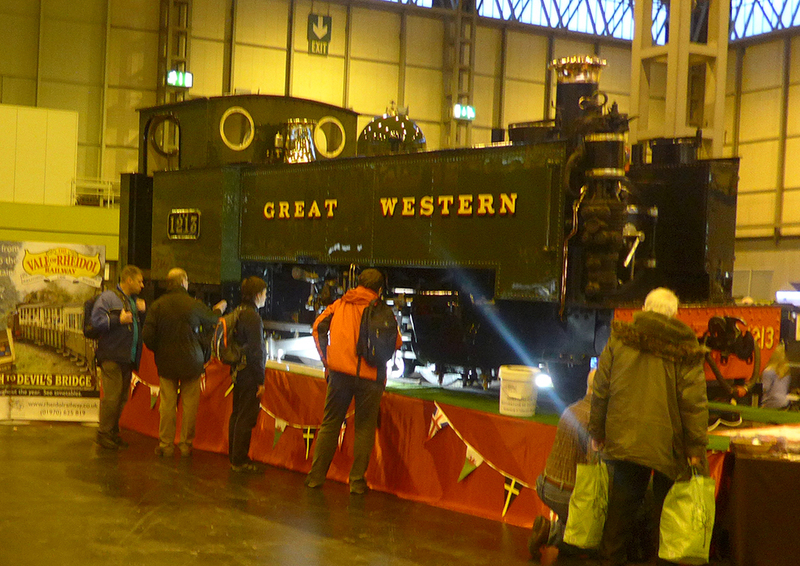 Much of our time at the show was occupied by 'window shopping' with the occasional purchase. Another treat for Pete K was in the second full size locomotive on show, the narrow gauge Vale of Rheidol No 9 from Aberystwyth. 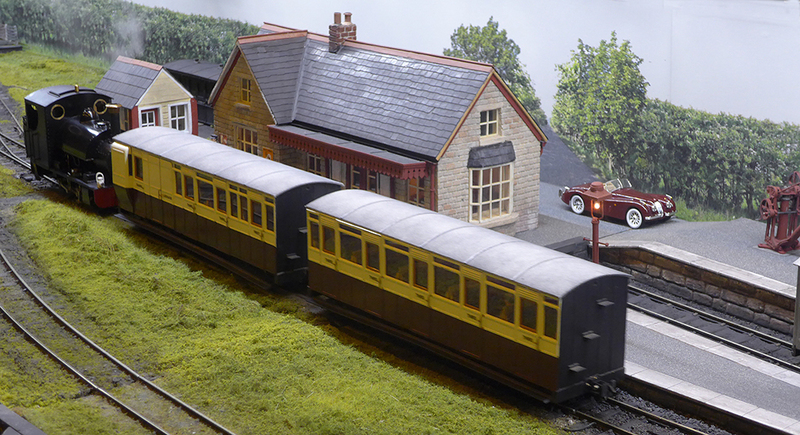 A delightful layout that caught our eye was a G scale narrow gauge live steam Hambledon Valley Railway. 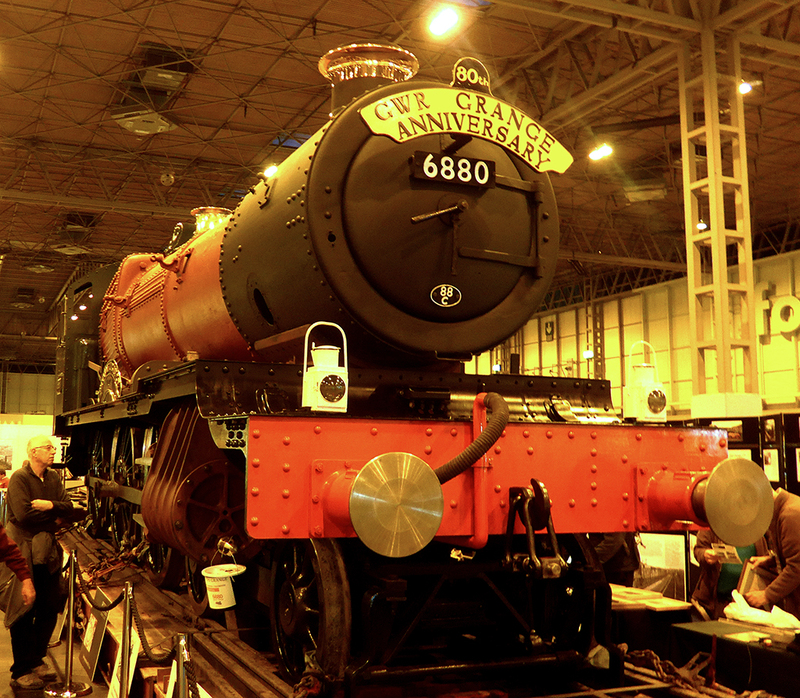 The sight of real steam applies a certain prototypical realism (unlike Photoshop additives). A very satisfactory visit and a sleepy return to Euston on Virgin, thanks Pete. The November meeting started quite well. David S had brought two loading gauges, one concrete and one rail-built. 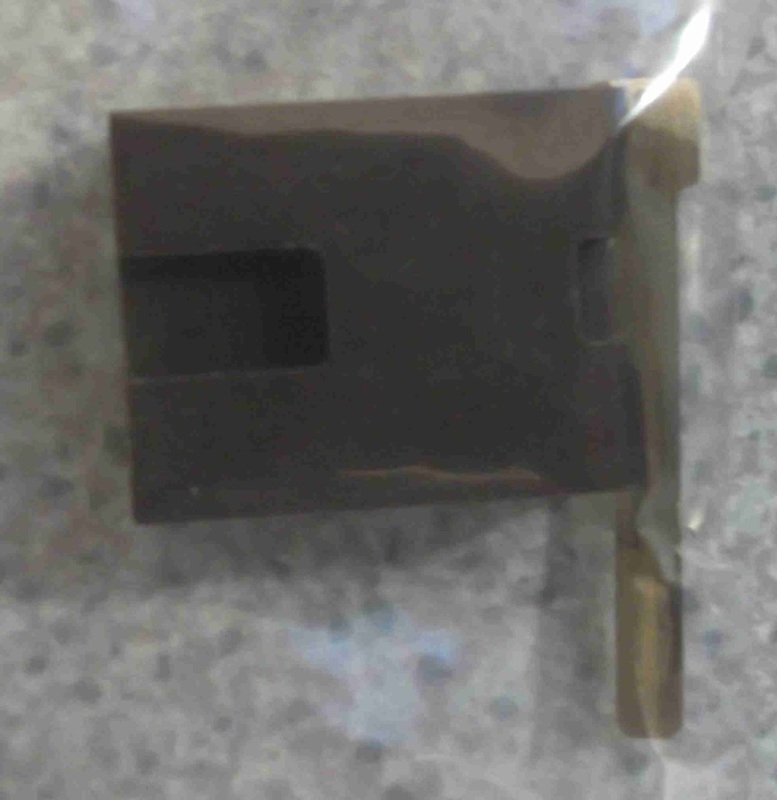 Alan S distributed some experimental DG coupling checking devices - black blocks machined to fit on top of the rails, with slots at appropriate positions to check heights of buffing plates and loops. 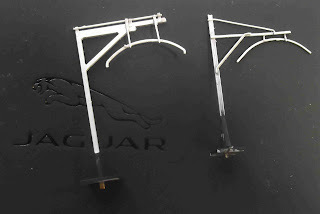 They also included a jig to mark positions to drill holes in DG base plates, and in the mounting plates on wagon chassis, to allow them to be screwed in and adjusted - but he had found the procedure to be too fiddly to be useful. 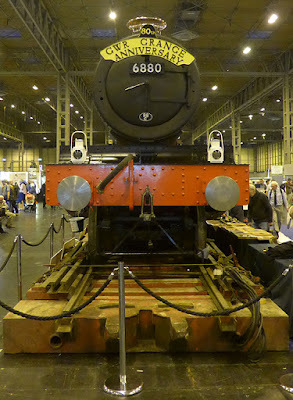 One of these in use, checking the heights on Alan's own jinty. Latest contribution to the layout's wagon collection - box vans and a plate wagon from David S, using some of Keith's cast resin bodies. 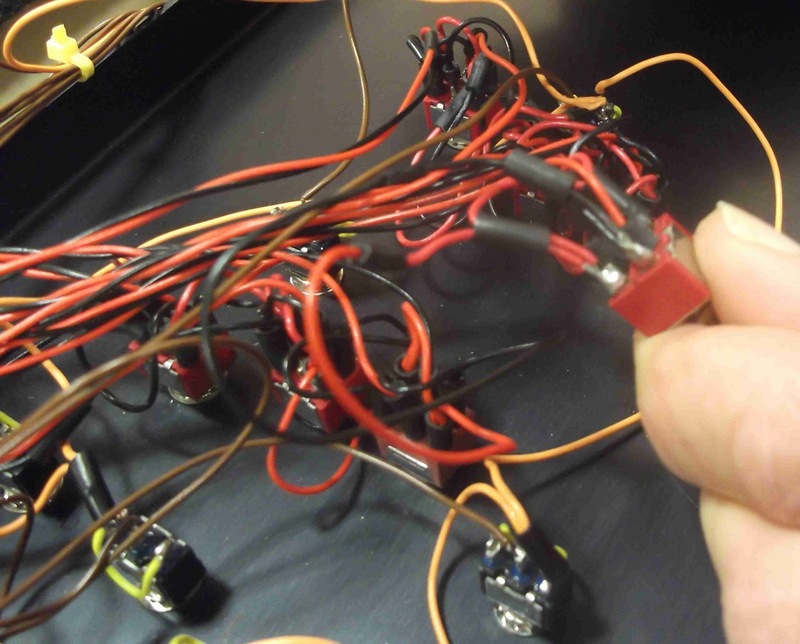 At this point a smell of burning was detected from the power supply, and the gremlin hunt started. 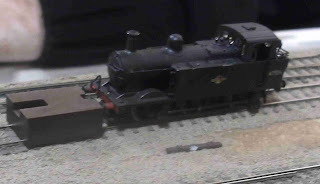 Testing separate parts of the layout isolated the short as being present in the half of the layout away from the fiddle yard - checking the separate circuits for point motors and uncoupling magnets revealed no problems, so the short lay somewhere in the trackwork circuit. Connecting cables were switched, and eliminated as the cause of the problem. 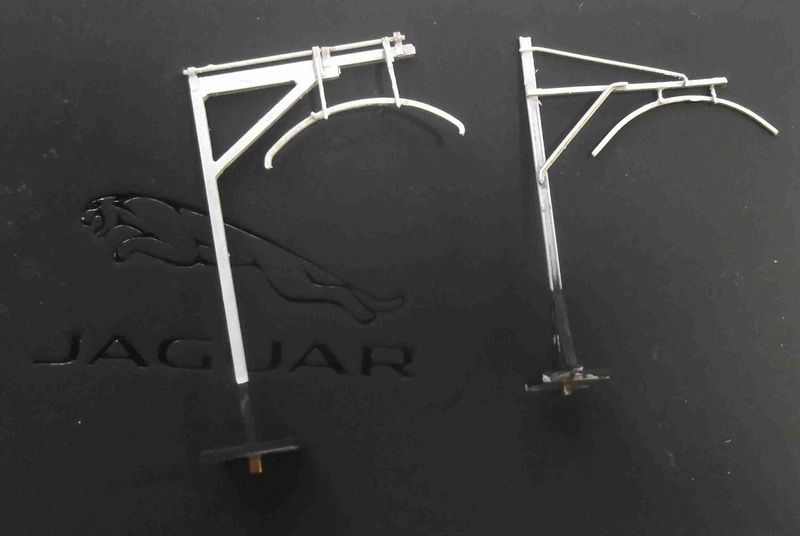 Eventually the short was narrowed down to one position of a specific set of points. Initial diagnosis suggested the switch was at fault, so the control panel was dismantled and the offending switch replaced. Unfortunately the problem persisted, but eventually poking various parts of the offending set of points dislodged the gremlin and the layout resumed working properly. By this time there wasn't much time left to attack the "ToDo List" generated from the previous month's experience at Wilmington Exhibition, so this was deferred until next month.